Uttarakhand Board of Technical Education, Roorkee (UBTER) will conduct LT (Asst. Teacher) exam. The written exam is to organized for determining eligible candidates for 3093 posts of Asst. teachers. Large number of candidates have applied for these posts. The latest news is that admit cards had been released now. The date of examination is also announced. The written exam will be held on 29 March 2015. Candidates can download UBTER LT Exam Admit card for LT from below given link after release. 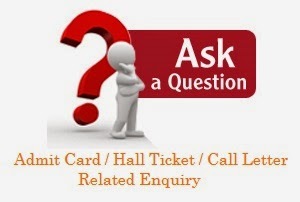 To appear in the examination, candidate can to download their UBTER LT admit card or hall ticket from its official website around 10 days before the exam. Uttarakhand Board of Technical Education, Roorkee will be conducting Asst. Teacher Staff LT written examination. Exam Scheme: As far the written exam is concened, it will be an objective type test consisting of 200 marks and two parts. In Part-I (100 marks), questions will be asked from Teaching skills, Reasoning Aptitude & General Knowledge. Part-II (100 marks) will have questions from the subject chosen by candidate. Time allowed will be 2 Hours. The UBTER Admit Card for Licentiate teacher (LT) exam will be available on ubter.in and latest updates regarding it will be available here. The procedure to download admit card is given below. ➡ Find the link for downloading admit card of Asst. teacher LT exam 2015. ➡ Take a printout of UBTER LT Admit card for the entering in exam hall.